All real salespeople love sales leads and don’t ever believe anyone who tells you differently. The argument comes when salespeople define a lead. Until SalesForce came along and called every raw name in the database a lead, most of us thought—there are inquiries and there are leads. An inquiry is a name with some information (title, phone number, email, company name), but little else. A genuine sales lead has qualifying information. In spite of what Mike Damphousse (Green Leads) said recently in his blog BANT is Dead -- Find the Authority, salespeople need information such as Budget, Authority, Need and Time frame to judge if an inquiry is really a lead and should therefore be followed up. Mike says BANT is dead in lead generation and he couldn’t be further from the truth. The value of inquiries is initially judged by the amount of BANT information they contain. Those with qualification information (BANT) can be sent to Sales immediately. Those without, should first be called, qualified or dismissed and then sent to Sales. A real sales lead, because it is qualified, reduces cold calling, feeds the sales pipeline, introduces salespeople to new people within companies, and opens up new markets. Only about 25% of the inquiries come with BANT-type information. The problem is, in order to get qualified sales prospects out of the other 75%, the sales representative has to filter out students, prisoners, competitors, those who do not have money, and those who want something similar to your product but are not quite a fit. If you don’t want expensive salespeople doing this qualification, there are many companies that will do the filtering for you and deliver sales-ready (or at least qualified) sales leads. Marketing automation companies also say they do this filtering; HubSpot, for instance. You’ve heard me say that sales lead management is a system made up of a process, the software containing the elements of the process, and the people who execute the process. In this instance, we are talking about the salespeople. A failure of lead generation and marketing. Yes, Marketing will fail no matter how much demand they deliver if salespeople don’t follow up. Sometimes life isn’t fair and this is one of those times. Means that sales will fail to a greater or lesser degree depending on the percentage that are followed-up, and that means the company will spend too much on lead generation. Interesting how this all comes down to an individual salesperson’s decision to follow up or not follow up a sales inquiry to see if it becomes a lead, which leads to a buyer. 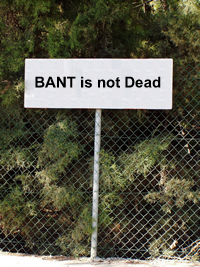 So, BANT is not dead, and much of what Marketing does is to start the conversation. Unlike Mike, I think the conversation starts with Marketing and continues with Sales. He says it starts with Sales (most of the marketing automation companies won’t agree either). Marketing starts the conversation and qualifies as many prospects as possible. If the prospect comes in unqualified (no BANT answers), Marketing restarts the conversation to qualify the inquiry and turn it into a lead. Sales gets the results of Marketing’s hard labor and follows up 100% on the prequalified leads. Sales come in and Marketing gets more money to spend on more qualified prospects and credit for creating wealth (because the system reports an ROI). And by the way, I really do like Mike Damphousse’s Green Leads company.